If you’re looking for a no fuss way to store your fresh and frozen food, look no further than the Lec TF55185W. 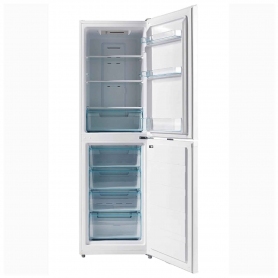 A large capacity and no frost technology make this fridge freezer ideal for… well, just about anyone. 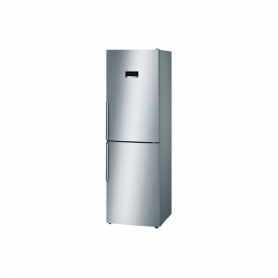 This freestanding fridge freezer uses no frost technology, so there’s no more chipping away at ice or manual defrosting. A fan in the freezer compartment circulates dry air to prevent ice from forming in the compartment or on your food. 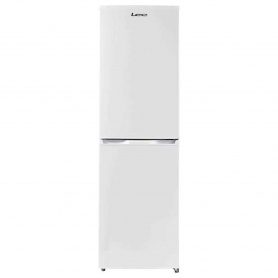 As the build-up of ice can reduce the efficiency of a fridge freezer the Lec TF55183W not only saves you time, it also saves you money. 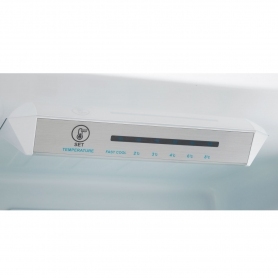 The no frost freezer compartment has four drawers and a total of 75 litres of space. The drawers are transparent, which allows you to see what’s inside without having to rummage through. The bottom drawer is larger than the others too, making it perfect for storing bulkier items.